MacRumors found some tweets by developer Steve Troughton-Smith who was reviewing HomePod firmware that Apple pushed out Friday. The biggest revelation was that the full iOS stack will be available on the device which is likely why the A8 processor was included. It also appears to have App Store connectivity and is recognized as an iPhone SE. One commenter suggested that may be a factor of the A8 processor onboard is similar to the SE line of devices. The other interesting finding was the screen on the top is a full LED display which means the device could provide additional visual information on top. I’m not convinced that is a great user experience for a device designed to interact with from a distance, but it could be particularly useful for some on-device controls and configuration. With all of this in mind, Troughton-Smith acknowledged that the documentation wasn’t particularly exciting. It looks a lot like any other iOS device we are familiar with except it doesn’t have a screen. The full iOS stack inclusion might be the most important element of the HomePod’s future prospects. Apple has 16 million iOS developers to draw upon. The fastest way to get them productive developing voice-first applications is to provide a programming framework that they already understand. This brings us back to the A8 processor onboard the HomePod. 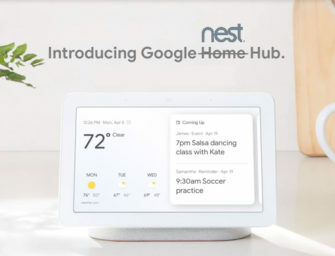 All of the other smart speakers released to date are using low end processors that operate essentially dumb devices reliant on the cloud for their smarts. Many people thought that the greater processing power was required for the device’s much-hyped sound and room mapping elements. However, Apple is clearly looking at more device-based processing and a more robust local services that may lead to new applications or features. The Underwhelming Apple HomePod Launch. Blame it on Siri and Maps. Google Assistant Struggling on iPhone. So What?